Swift is a supported language to use with Stream. Build your social network features like user feeds, ranked feeds, personalized feeds and your notification systems on top of the scalable Stream API. If you're looking to personalize the feeds in your swift app; work with our Data Scientist on the best solution. Stream swift is a great open source social network platform. 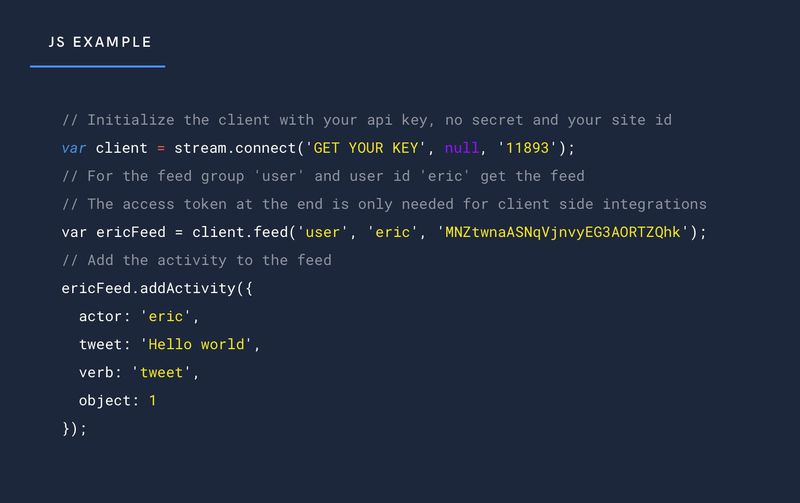 Developers can easily build personalization into their feeds with swift and Stream. If you want to include activity streams or a feed like twitter, instagram or facebook aggregated feed, Stream is the right solution for your app. Our Client API for swift is stream-swift. Continuous integration is via travis and we publish packages to CocoaPods. Contributions in the form of issues, feature suggestions and pull requests are most welcome.